I read about the latest crowdsourcing initiative to be generating some buzz. In this case, it’s a mortgage rate comparison tool which relies on reports from “the community” instead of the usual inputs that mortgage sites list. The site is called SmartHippo with the tagline “join the herd, save money“. The premise here is that by individual users reporting the best rates they’re finding and sharing it with the community, you’ll have current results not subject to factors like which company is paying to have their rate displayed, etc. Sounds good I guess, if there were thousands of people inputting data daily and keeping a robust data set. Does Crowdsourcing Beat the Competition? As a test, I compared the results and rates from SmartHippo to the Best Mortgage Rate table I have embedded right here at Darwin’s Money and frankly, my table still wins out head and shoulders. I checked the results for mulitple zip codes in multiple states at Smart Hippo and each time, I got a single result for HSBC for 4.75% on a 30 year. Meanwhile, using the table embedded here (mortgage rates), I got 10 results with lower rates to boot! Granted, the rate platform on my page is supported by ad dollars (see The Economics of Blogging – How I Make Money Online), so there are numerous results and links out, but is that a bad thing if consumers are offered better rates and more choices? So, in this case, I just don’t see the value of using SmartHippo. I presume there’s just not enough data/inputs at SmartHippo to return meaningful results. It almost looks as though HSBC happens to be the only company in their database for the towns I looked at? I’ve run into the phenomena dozens of times where someone at work is creating a brilliant modeling tool or some new company is launching with a “wisdom of the masses” approach but if the data going in isn’t robust, what comes out is not useful. Early on, I found this with my GasBuddy app for my iPhone. I found that only a select few gas stations routinely had pricing data, so what was the point? I was still missing the best gas price at other stations that didn’t input their data. So, before jumping head first into relying on crowdsourcing platforms, make sure the data going in is robust and voluminous. What Are Some Crowdsourcing Platforms that Are Working For You? Woo-Hoo! Mortgage Rates Are Tanking Again 8th Week in a Row! A person is smart. People are dumb, panicky, dangerous animals . 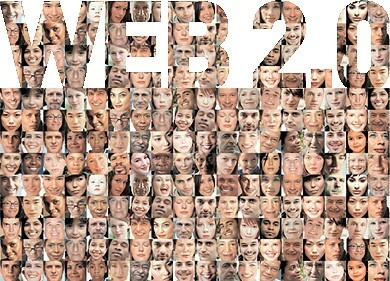 . .
Crowdsourcing is just another marketing buzzword like “cloud computing” and “web 2.0”. Haha – the “cloud” is the most annoying new catchphrase. It’s just the web with a fancy new name! Hmm, the “wisdom of the masses” or the “madness of crowds”? I’m more inclined to believe the latter. Good article, it pays to be a contrarian. My rule of thumb is to check at least three (3) independent sources or more if I have time. 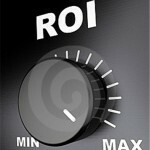 In this case I would use what I found as a negotiating tool with my present bank to get a better rate. Agree; the internet has made it so much easier to avoid overpaying. I can’t understand why anyone would jump at an initial offer for anything these days when so much competition and information exists – but it happens! I have used Amazon Mechanical Turk in the past and it worked well since I could reject irrelevant stuff.